We finally got out to the Great Barrier Reef. A group of reefs is around 30 miles northwest of Hook Island and we spent Sunday and Monday nights out there. Tourist boats also come out and pontoons have been moored to service these large boats. Other pontoons serve as landing spots for the tourist helicopters! We spent a night anchored behind Line Reef and then went to Bait Reef, a few miles away. Bait Reef is a no anchoring zone but has six public moorings installed. When we arrived we had to wait a few hours on a private/commercial mooring before one of the public moorings became available. We made two dives that Monday, and two more the next morning. The diving was very good with us finally getting the sort of visibility we are used to. There is no significant protection there and the mooring was only comfortable while there was no wind - 5-10 knots was forecast on the Monday. By Tuesday morning the wind was 15-20 and the anchorage was getting choppy. We stuck it out to make two more dives and we were the last to leave Bait Reef and hightail it back to Hook Island. We got in there around sunset. We left Mackay about 10 days ago and after an overnight at Brampton Island we we anchored off Whitehaven Beach on Whitsunday Island itself. We'd selected this anchorage because yet another frontal passage was expected with winds backing through northwest, southwest and back to southeast. There are few anchorages with 360 protection but the stronger winds were expected from the south, after the frontal passage, so we most needed protection from southwest through to southeast - which Whitehaven provides. We had a moderately uncomfortable day while light wind and chop came out of the north - so the beach became a lee shore - but then the wind backed and our plan proved to be good. The Whitsundays are just FULL of charter boats. There are lots of bareboat charter boats and even quite a lot of crewed charters and day boats. Whitehaven Beach for example never had less than a dozen boats overnight and each day several large ferries turned up with more vacationers. We've now moved to the north end of Hook Island where the best diving is said to be. There are five nice bays close together - some good for day visits, some best for overnight. They've gone to lengths to protect the coral by putting in reef protection markers to prohibit anchoring too close to the fringing reef. This gives anchoring depths of >50 feet! They have also put in a lot of boat moorings but these are 'officially' limited to 2 hour use during the day, plus overnight. This suits the charter boats - who sail in the morning stop for a snorkel and lunch, and sail again in the afternoon - but it doesn't suit us. We've anchored in Butterfly Bay - the most sheltered - and all the bays are within 2 miles. Along the coast of Hook Island it's an easy dinghy ride. We could take the boat to these bays and moor for a dive but in recent years we've become so accustomed to diving from the dinghy, it's more trouble to do that. We'd then join the afternoon stampede into the bays to find a free mooring! This is just like the British Virgin Islands in that regard. 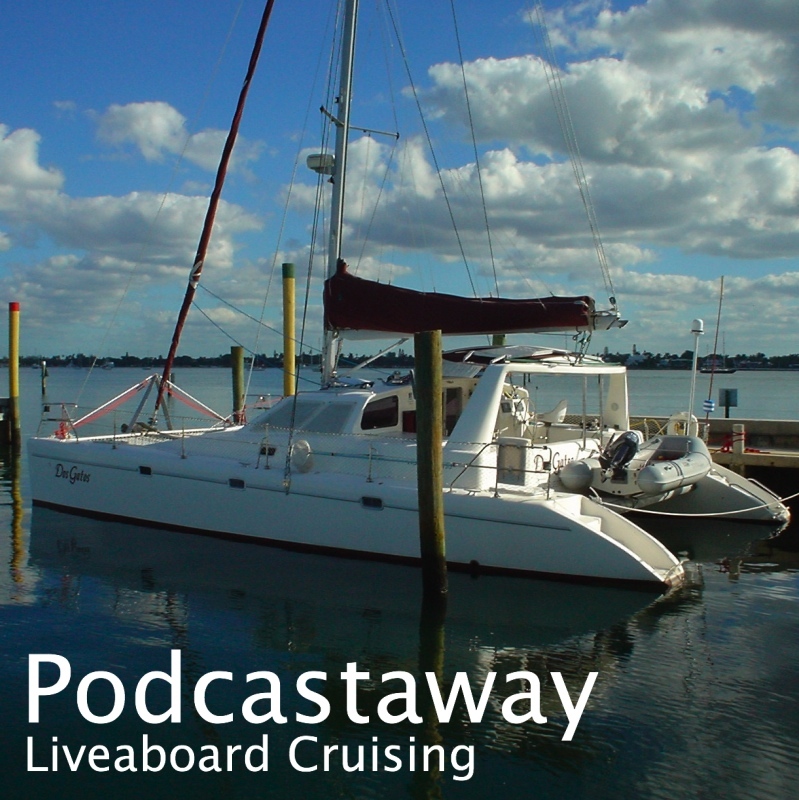 It's a similarly great cruising area for bareboat charters but it feels unfamiliar for us full-time cruisers. We'll leave all this behind us when we leave here to head north in a couple of weeks. Right now there's another windy couple of days here and we're hoping that it eases soon so that we can visit Bait Reef - part of the Great Barrier Reef - which is about 30 miles northeast. Our guidebook says there are good dives - and moorings - there. The diving here is our best so far. A lot of fish, and new fish, but the visibility while better does not reach our high standards! It also still needs a 5mm wetsuit!